1. To produce a program for GIS and Cartographic basis of sustainable development (SD) of territories. Creation of some its modules. 2. The organization of uniform actions (including performance of projects, holding conferences etc. ), on which experts from the different spheres would be involved. In particular to hold the conference that will unit the different experts interested in sustainable development of territories. The press will be involved for propagation of achievements of cartography and GIS. 4. 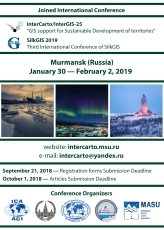 To provide the connections and performance of teamwork, holding conferences, schools with the adjacent organizations - the commission on geographical information sciences IGU, CODATA, Digital Earth, UNIGIS etc. 5. 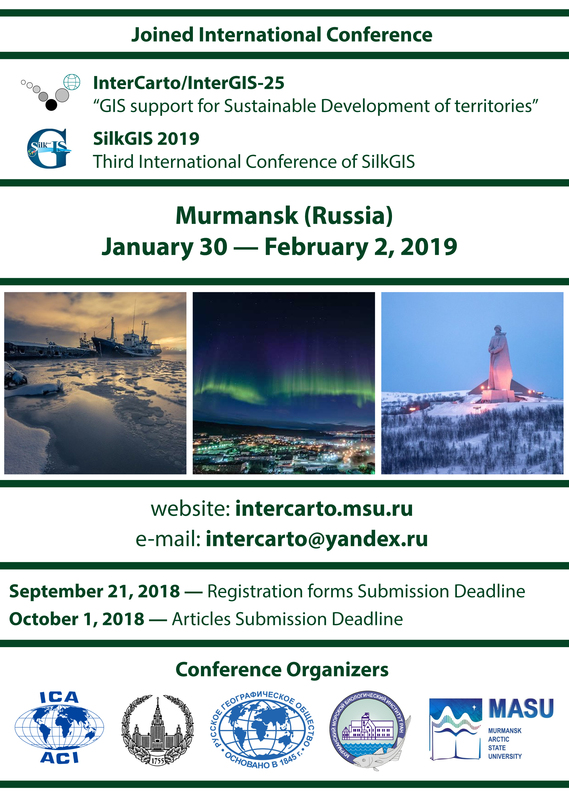 To continue the work on realization of international conferences InterCarto, which since 1994 were annually carried out in Russia and in the other countries. 6. To encourage and support the involvement of student cartographers in the working group activities.